Did you know that blue cheese used to be on the Do Not Eat List for people who were gluten free? Now blue chees is safe since a study was done back in 2009 by the Canadian Celiac Association. Thank goodness, because I now have no excuse than to add my favorite blue cheese to a classic deviled egg recipe in these Easy Blue Cheese Deviled Eggs. Blue cheese deviled eggs are a quick and easy way to use up leftover hardboiled eggs at Easter. They’re also one of the best recipes for deviled eggs to serve to guests as a party appetizer or bring to potlucks. Sure, these blue cheese deviled eggs are rich and decadent. Yet I never manage to have more than a couple of these easy to make deviled egg appetizers at my parties. They just disappear – whooooosh! Maybe that’s a good thing, because even though this blue cheese deviled egg recipe is made with Kraft Mayonnaise with Olive Oil, which has half the fat and calories of regular mayonnaise and tastes great, these aren’t exactly the leanest of appetizers. If you love taking this easy recipe for deviled eggs to potlucks, you should buy yourself a few Rubbermaid Egg Keepers. They’re very inexpensive on Amazon and easier than putting the deviled eggs on an egg platter or dish and covering them with plastic wrap. Instead, bring the platter separately and then place the deviled eggs the egg dish or platter when you get to the party. That way the blue cheese deviled eggs stay looking nice and don’t get mashed in the car – or fall all over the seat or on to the floor mats! Like this easy deviled egg recipe? Then check out more easy deviled eggs recipes. 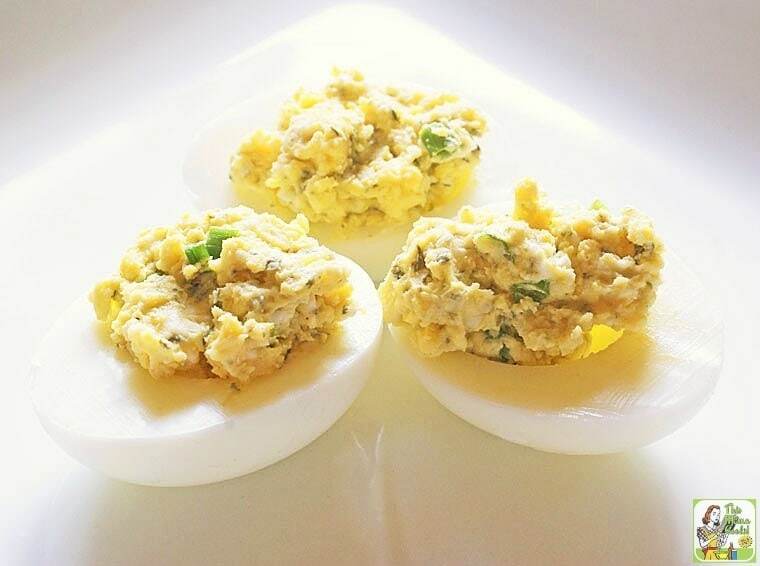 All these simple deviled egg recipes are perfect for picnics, potlucks, and retro Mad Men type parties! Don’t forget to bring the hot sauce for a touch of extra spiciness when serving any of these easy deviled eggs recipes! 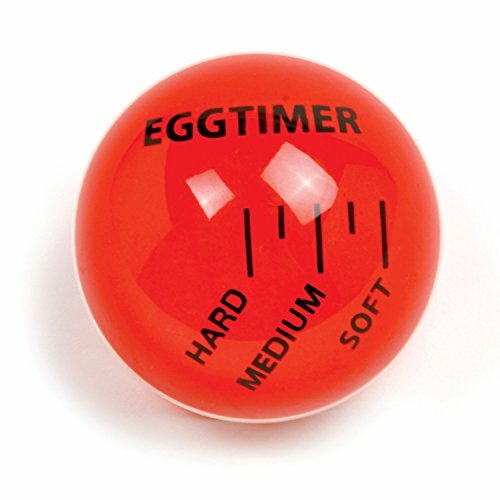 I used to use a Norpro Egg Rite Egg Timer to make hard boiled eggs. These gadgets work great until you forget that you have eggs boiling on the stove – and end up with a melted egg timer and over cooked eggs! After melting a couple of them, I developed a foolproof way to make hard boiled eggs. Since most classic deviled egg recipes call for six eggs, I cook up a few more. Inevitably, a couple will get cracked, will be hard to peel, or will end up getting torn. Put 8 or 9 eggs in a medium sized pot and cover with cold water. Place pot on stove over high heat and bring to a boil. Turn off heat. Remove pan from stove and cover. Let eggs cook in the hot water for 11-12 minutes. Bring pot over to sink, uncover and rinse eggs under cold water until they are cool enough to handle. Place eggs in a bowl. Refrigerate for several hours, then peel. Rinse any shell pieces or membranes off of eggs, cut in half with a sharp knife, remove yolks, and prepare eggs as directed. If you have extra hard boiled eggs, save them for a salad or make a quick egg salad sandwich! 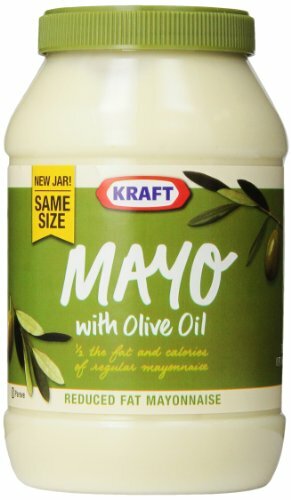 Kraft Mayonnaise with Olive Oil, 30-Ounce Jars Valentina Salsa Picante Mexican Sauce Badia Smoked Paprika 16 oz. Cut peeled eggs in half length wise. Place yolks in a mixing bowl, set the whites aside. Mash the yolks with the back of a fork and add blue cheese, mayonnaise, parsley, Mexican hot sauce, green onion, sea salt and ground pepper. Mix well. Spoon or pipe the filling back into egg white and sprinkle tops with smoked paprika. Originally published September 26, 2010 and March 24, 2016. Updated with new pictures and information.